2. 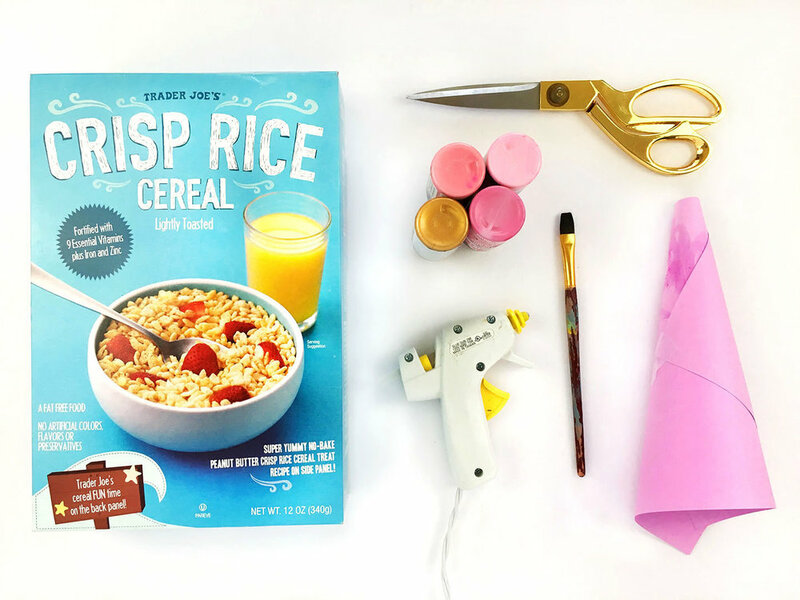 Open up your cereal box and paint in long strokes up and down the inside of the box. Try not to mix up the colors too much, we found having a streaky look gave the tree a really nice texture. Set aside and let the paint dry. 3. 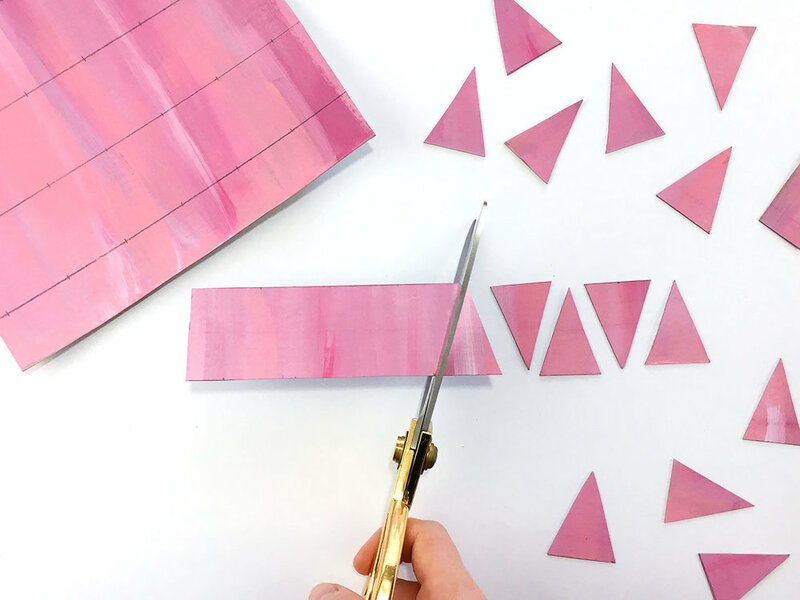 Once dry, measure and cut strips about 4cm apart, perpendicular to the brush strokes (see picture). This is a great exercise to work on some measuring skills. a. Cut out a circle. The height of your cone is determined by the radius of your circle. The larger the radius, the taller the cone. Our cone had a 21cm radius. b. 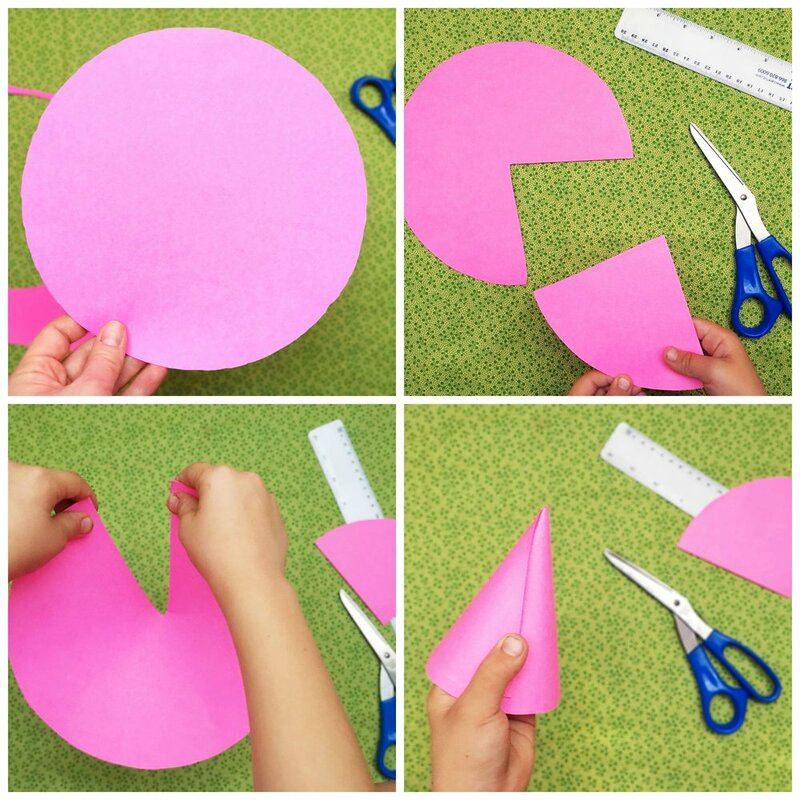 Cut out a triangular wedge from your circle. c. Bring the sides of your circle together. d. Tape in place to make a cone. 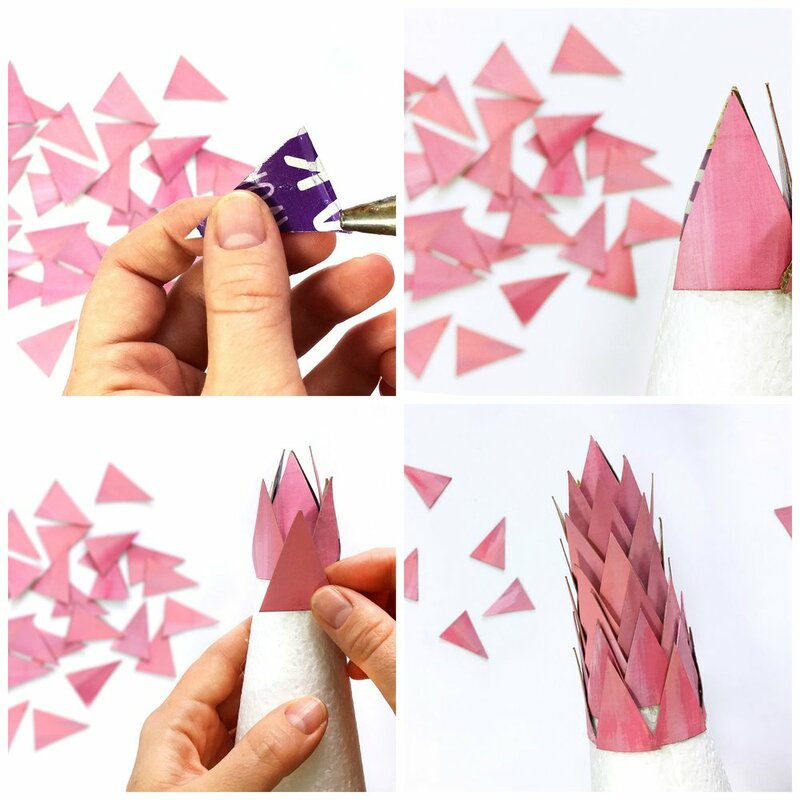 Once all your triangles are cut and your cone is ready, plug in your hot glue gun, grab a hot beverage, put on some Christmas tunes and sit down to glue your triangles to your cone. 5. 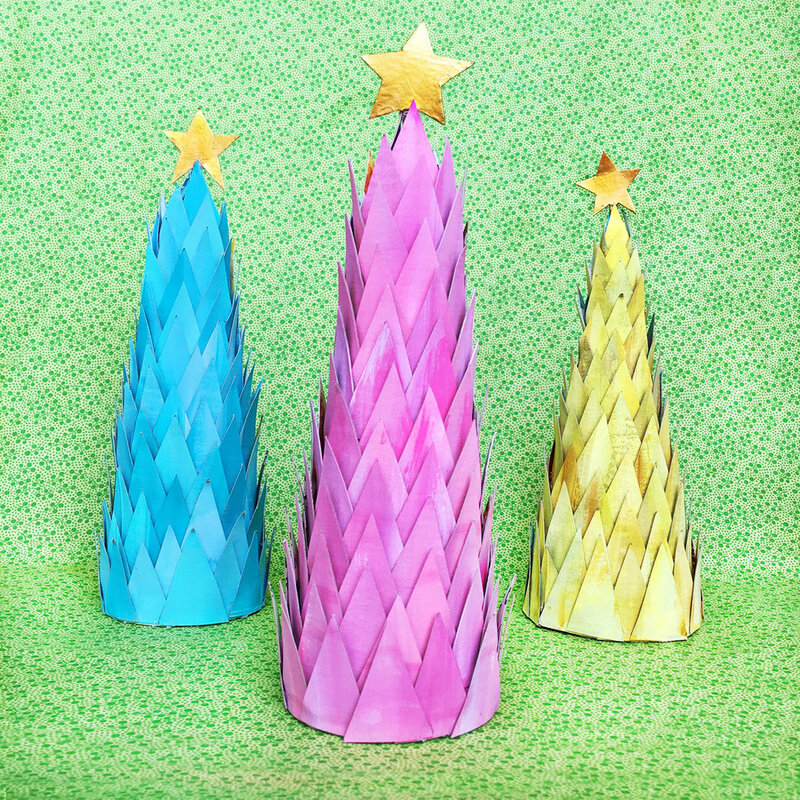 Glue 4 triangles to the top of the cone, and bend them in towards each other to make the top of the tree. 6. For the next row glue the triangles in between each of the above triangles. 7. Continue gluing triangles all the way down and around the cone. 8. Now for the star! 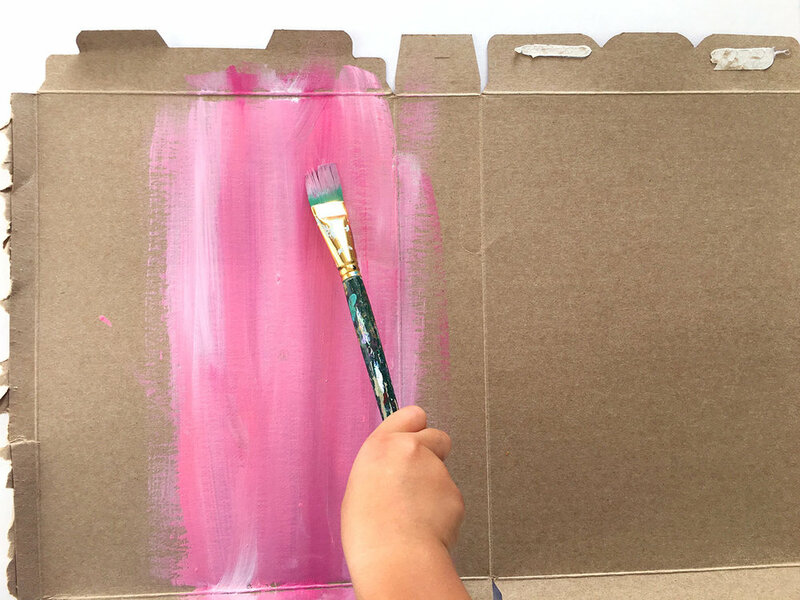 Draw a star on some spare cardboard or even on some leftover painted cardboard like we did. Make sure to draw a little stem. Then cut it out. 9. Paint your star on both sides. We painted ours gold.10. 10. Glue your star to the top of y our tree. Put some glue on the stem of the star and insert it into the top of the tree. 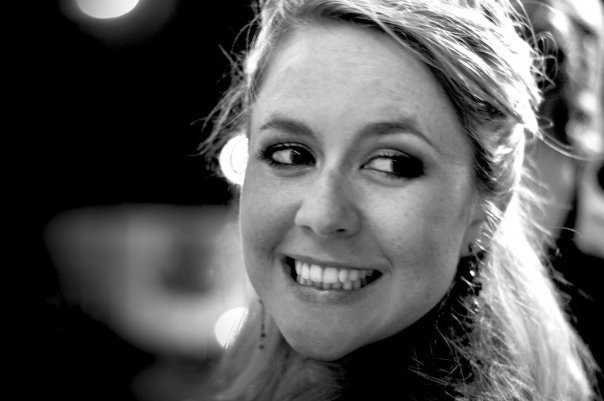 Shelly is a Visual Effects Producer turned Entrepreneur who lives with her husband and 3 young children in sunny California. After having her third child, she realized she wanted to spend more time with her family. Many a happy afternoon of arts and crafts with her children led her to the realization that she needed to spread the word about creating together with children, and how inspirational it is. So she created an online space with fun and simple projects to do just that. You can visit her at creatingcreatives.com for some inspiration and creative fun.